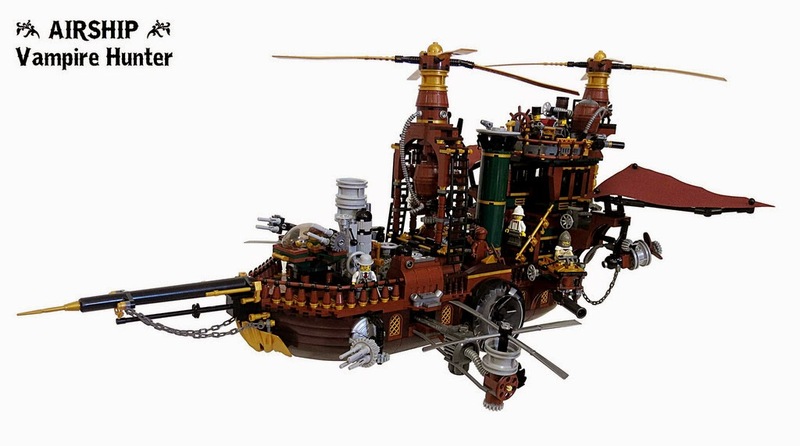 This magnificent steampunk airship is built by LEGO Fan and Flickr member Castor Troy. The ship is full of interesting details including a steam motor, stacks, giant propellers and many weapons that you expect to see in a steam punk vehicle. Cannons, barrels, chains, golden bionicle parts are all adding flawor to this amazing airship.